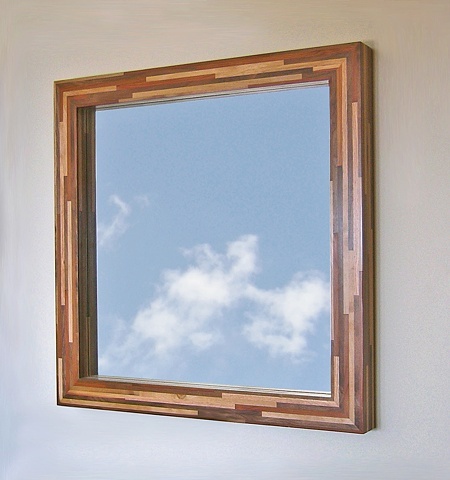 Modern and sustainable custom wood mirror. The frame is a "Deep Box" design, made with salvaged and scrap wood strips applied to salvaged Timberstand. It's finished with gel urethane and is hand rubbed with wax.